It’s Friday. And, the start of a long weekend. And, college football! Anyone else excited for the first games - of their favorite teams. I have two big games Saturday. Also, there are a lot of great sales happening right now. 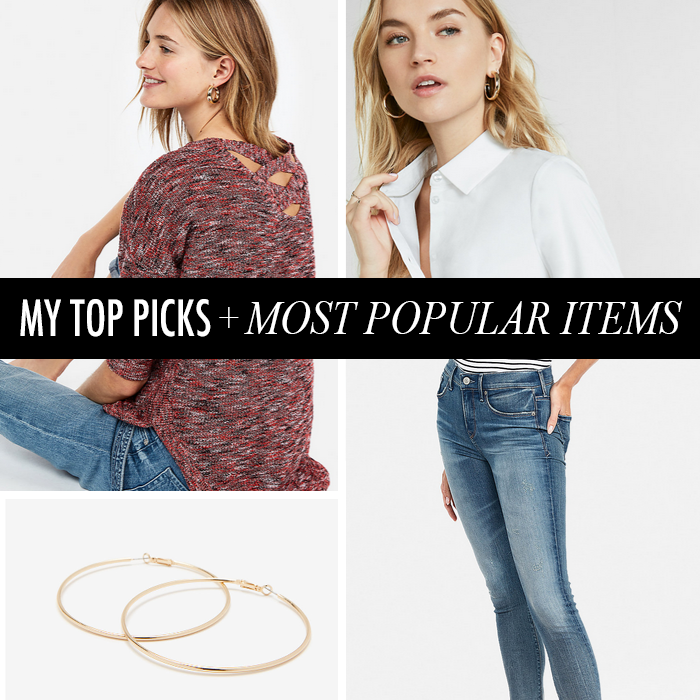 I am sharing some of my top picks HERE. If you can’t tell - leopard is a favorite of mine. You can style it with solid colors like pink - but also with stripes. This look makes me ready for fall. The weather is cooler today - making me so ready for sweater-weather. 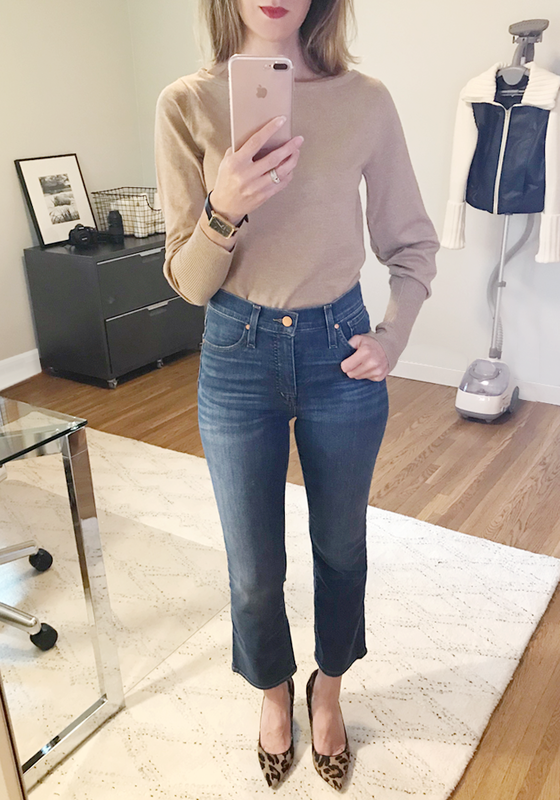 You my remember I shared some of my favorite new sweater purchases (that are all under $40) HERE and a new favorite cardigan HERE. I am so ready for cooler weather - and wearing sweaters like this pink one and pairing it with leopard shoes. 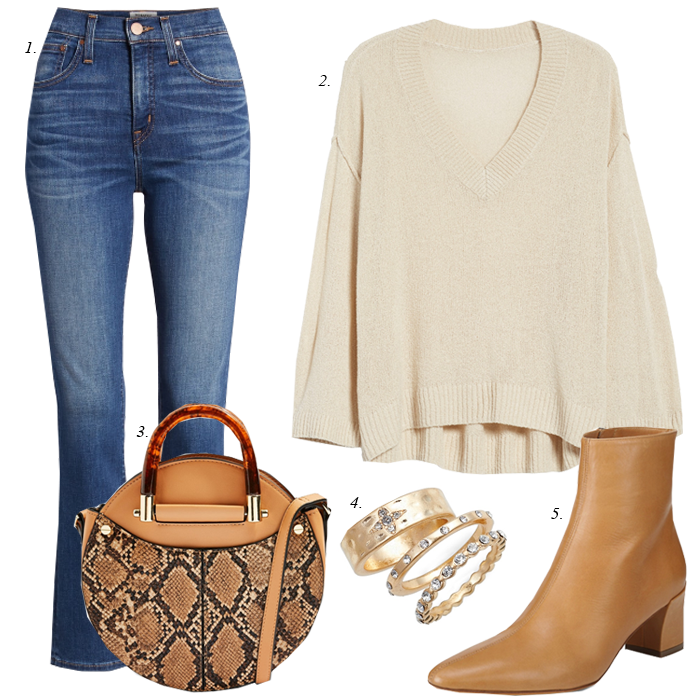 I am sharing some of the most popular clicks of the week, like the $20 sweater I shared earlier in the week that I both styled with my favorite leopard pumps - and also shared in my try on session. There are some great summer sales happening, like this red bag that is 50% off - and would be perfect for fall/winter. Also, there are new fall arrivals that are on sale like that cardigan and plaid blouse which are buy one, get one for only $20. 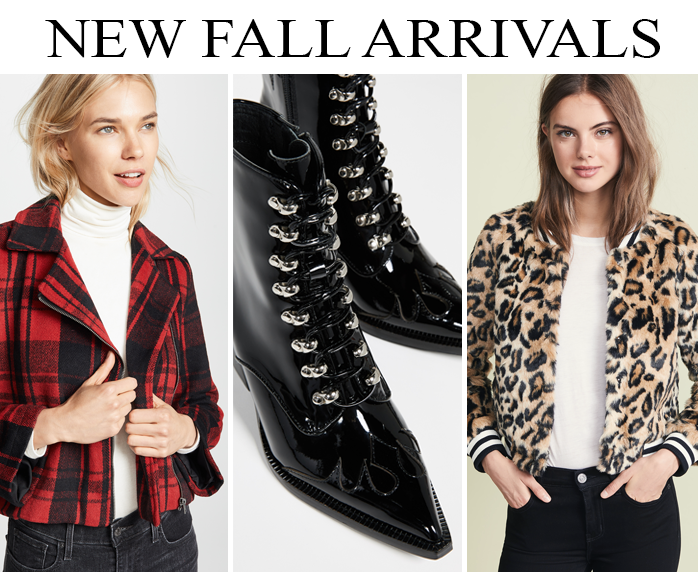 I have mentioned it before - but I love shopping for fall. Seeing this plaid jacket, and those western-inspired booties - makes me so ready for cooler weather. I just hope this fall is a "true fall" with cooler weather. Last year, it went from summer to winter - with not many "perfect" fall days. This sweater is only $25 and comes in grey and tan. I tucked the sweater in - but you could easily wear it out - it has a banded bottom. Also, it has a boatneck neckline - which I find to be really flattering - plus it has blouson sleeves. 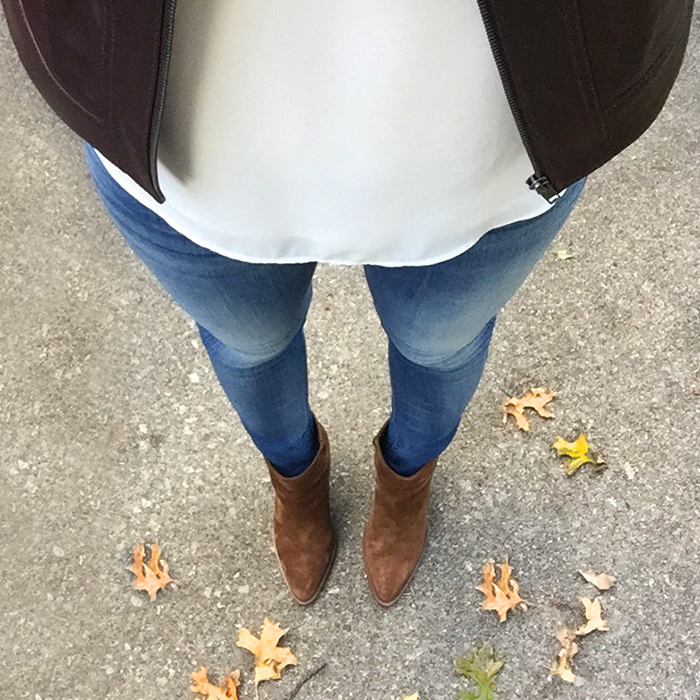 Do you ever get tired of looking in your closet for something "new" to wear? 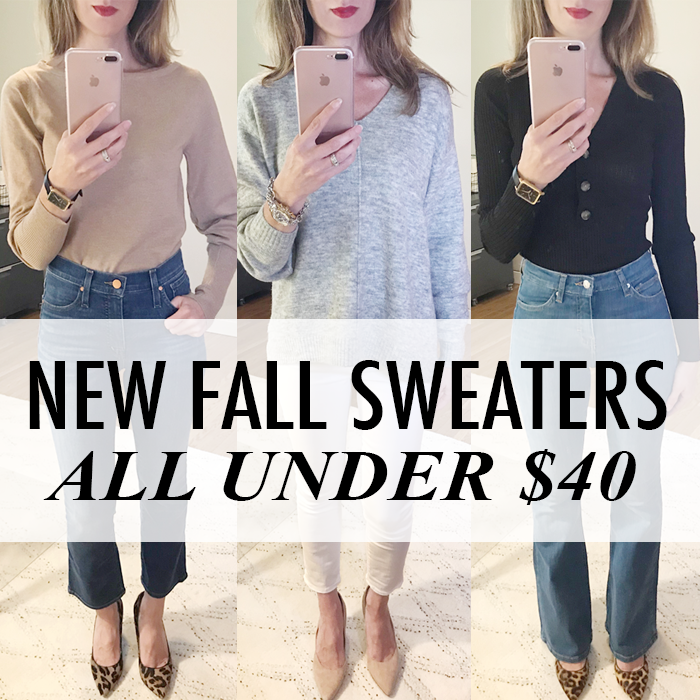 I recently decided I needed to find a couple new sweaters - to transition from the end of summer to early fall. In doing some shopping, I found this v-neck sweater that is only $20! It comes in four different colors. I bought it in grey - and I am considering buying it in this off white color, too! Also, I love leopard heels - and I am considering buying those chunky heeled leopard ones. They are just easier to walk in than regular pumps. Do you agree? Hope you are having a great weekend! 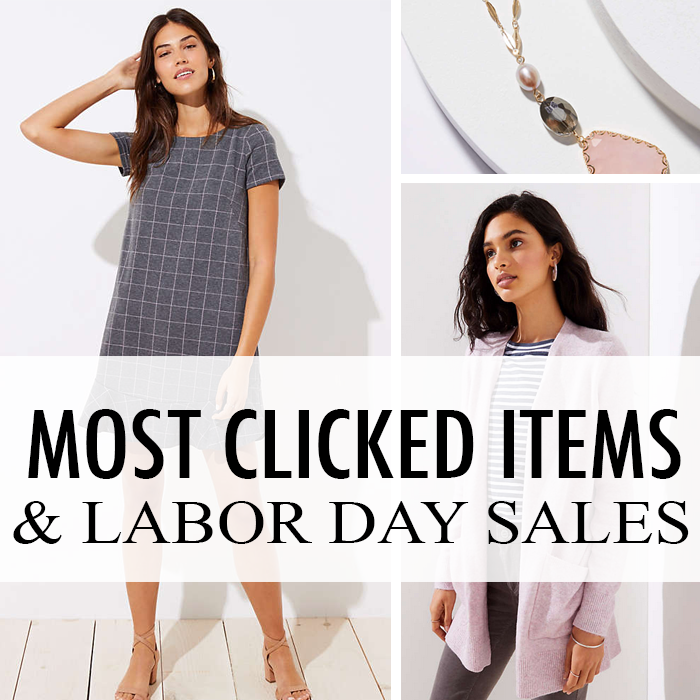 I am sharing some finds and deals. These fringe earrings that are on sale are one of my favorites. Also, that bag above looks just like a Chloe one - but for a fraction of the cost. This has been quite a week - with many thankful answers to prayers! I cannot believe this snake bag is only $55! It looks a lot more expensive than that. Snake print is probably my second favorite print - after leopard. I love snake print pumps. At one point, I think I owned like 10 snake print shoes - in different colored prints - like purple, red, green, white, etc. I just kept collecting them on Amazon. They no longer sell my favorite pair - but while they did I bought up as many as I could - because they added that extra something to my look. These boots are definitely a splurge - but they would be worth it. They are great quality - and look like they would be very comfy for fall. Plus, I love the color! This tee is one of my favorites! It is so soft and has a little bit of a sheen that makes it feel more dressy than just a regular tee. It comes in different colors. I liked it so much I bought it in grey, black and blush. I debated getting the green and burgundy, too! Also, I wear these jeans so much. 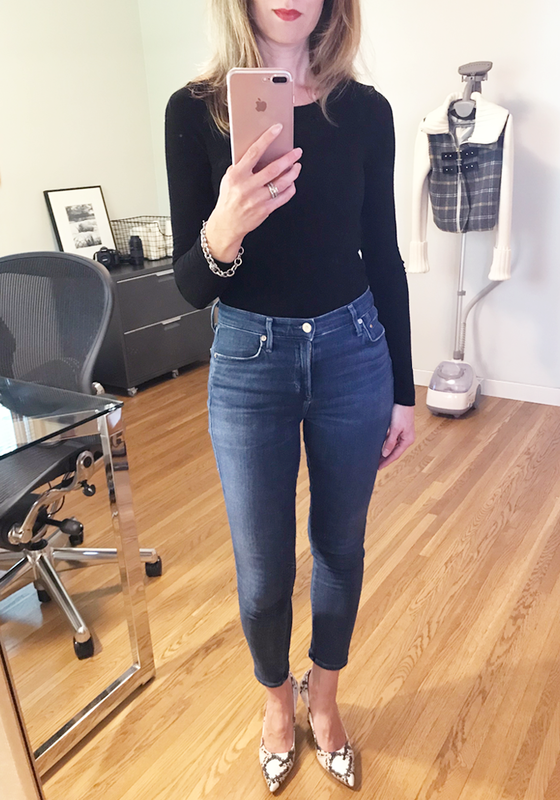 If you want a flattering high rise pair of skinny jeans - I recommend them! 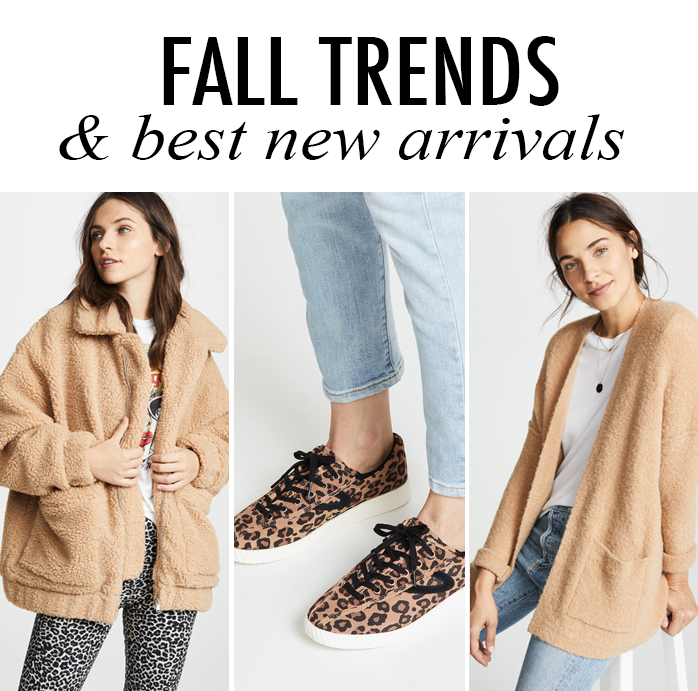 Do you have a favorite jacket for fall? Tweed is one of those jackets that is classic - and something that can be worn throughout most of the year - and is a favorite style of mine. This tweed ruffle one (that was part of the #NSALE) is so colorful and fun. I love that it has so many colors in the jacket - pink, red, blue, a hint of orange. It could be styled casually with jeans (like these that I picked up at during the anniversary sale) or dressed up with black pants. Also, I love that it could be worn with many colors. 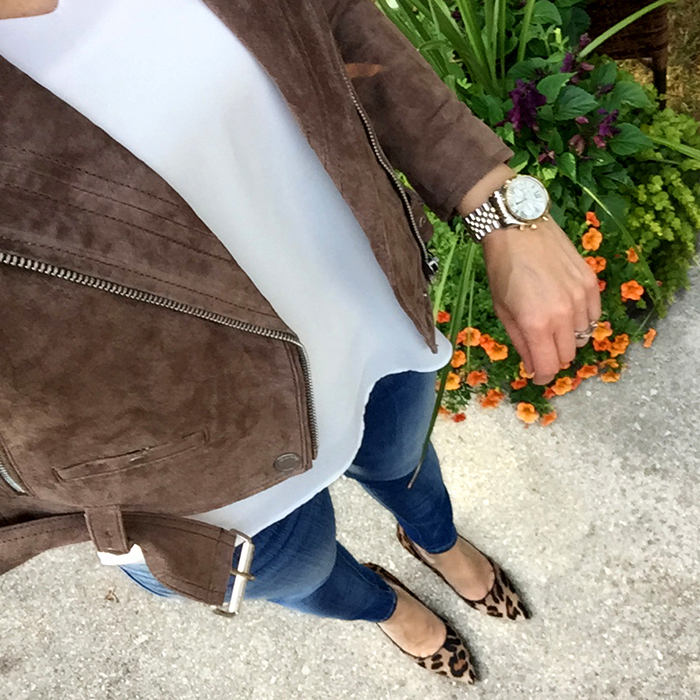 I could see styling this jacket with different colored shoes - like these orange pumps or even these blue suede pumps.